Northern Virginia is home to many older and even historic houses that were built either before electricity was a thing, or before the electricity we use today was even imagined. Many of these homes were originally wired to light every room and possibly handle an electric stove or refrigerator. Maybe a new television set (rabbit ears included). But now? Computers, entertainment systems, high tech, smart kitchens, electric car charging stations, workshops, security systems… we’re so used it now that we don’t even realize how much more electricity we use now than our parents and grandparents ever dreamed of using, let alone the folks who built their houses. Go from room to room and write a list of literally electric thing you use, and where you use it. For example, while you’re in the garage, note all of the lights, outlets, anywhere you plug in tools or an electric car, etc. In the kitchen, note all of the large appliances that use electricity, all the lights and all of the small appliances you regularly plug in. Do the same for each room in the house, including the basement and attics. Don’t forget things like the HVAC systems and water heater. Mapping out where you use the most electricity and what kind of drain your needs create will help you figure out how the house needs to be rewired. This is an absolute must. If you have any electrical work done on your home, it must be performed up to your local building code standards. These codes cover everything from what type of wire you can use, how many outlets, how much wattage, etc. you can install. If you don’t check these out first, you can create significant safety hazards or have to pull out work that’s already been done, which can cost thousands of dollars more in the end. This is an area where having a professional residential electrician who is an expert in these matters helps. 3. Do You Need More Than Just Electrical Wiring? Modern homes today have more sophisticated wiring that does a host of things besides just provide the juice that turns on the light and charges your mobile devices. You may want to consider new data lines, a security system or even new fire protection lines at the same time—because getting it all done at the same time is cheaper and more efficient. Many of the newer models of wiring actually perform multiple functions, so see if you can take care of two+ needs with one wiring system. Take your home electrical inventory from step one and prioritize it. That way, when you sit down with your electrician, you’ll be able to have a good, detailed discussion about how to accomplish your needs in an orderly, economical, safe way. In addition to knowing what your home’s existing electrical structure is, you’ll want to know about the pipes, plumbing, load-bearing structures, etc. A comprehensive home electrical inspection can determine these factors before any holes are drilled. I had several items to be done and all were done on a schedule easy for me to meet and all the work was done well. The technicians were very knowledgeable, courteous, and prompt. It was a very easy experience and I am very satisfied. The best electricians will do a lot of homework on your home’s needs before creating an estimate of what needs to be done. Any estimate should be extremely detailed and take into account potential problems that may arise so that they don’t come as a shock. The only surprise you should have at the end of an older home rewiring job is how well everything works and how beautifully on-time and on-budget the work is. The key here is to choose an electrician who has been working in Northern Virginia for a few decades and understands the complexities, difficulties and oddities that come up when rewiring older homes. 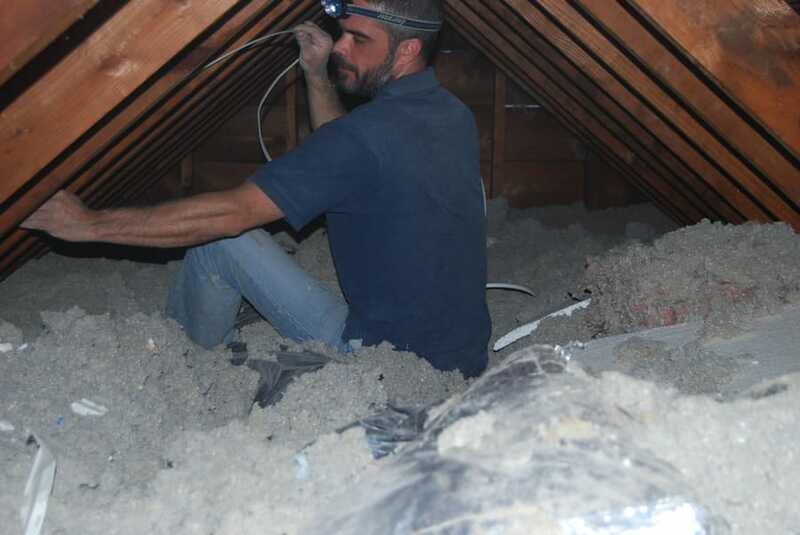 For example, Root Electric has been rewriting older homes in Northern Virginia for more than 3 decades. We know about how these older homes were built and we understand the latest information on building and electrical codes as well and are experts at bringing the two together. With many older homes, accessing ancient wiring requires taking out or cutting into walls or other structures. If you’re planning other remodeling projects concurrently, having it all done at the same time is a smart and economical way to get it done. Just don’t forget that reconstruction and cleanup should be included as part of the process, plan and budget for rewiring an older home. In electrician language, a “home run” is where one wire travels between an outlet and a circuit breaker with no other connections or devices connected to it. These are optimal because a dedicated line between the circuit breaker and just one appliance or device cuts down the load the power system has to bear and also prevents popping the circuit breaker. While this isn’t always possible, if you’re totally rewiring an older home, you and your electrician can use the power inventory you made in step one to plan a balanced electrical system that evenly distributes power use between outlets and circuits—even building in potential for growth as your electrical needs change. Here at Root Electric, we have a great appreciation for the historic homes of Northern Virginia. Although we may have to totally update the underlying wiring of a home to bring it into the 21st century, we can find plates and switches and exterior elements that speak to the era your home was built in, or any era or style you’re going for as you remodel or renovate. We know all the right suppliers and can find stylish options that meet today’s strict electrical safety codes. The main thing to remember is never to try and update your home’s wiring without a licensed electrician on your team—for safety, code, quality, insurance and resale reasons. If you need to have your older home’s wiring updated, contact Root Electric today at (703) 494-3989 for assistance.